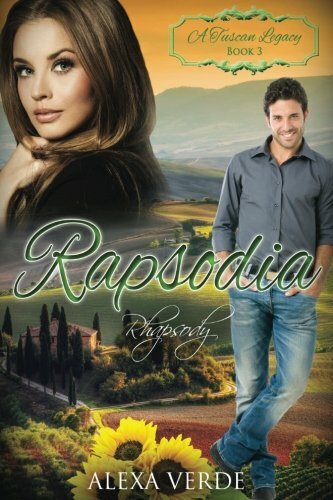 Rapsodia: Rhapsody by Alexa Verde is a delightful and charming contemporary Christian romance. It is book three in the A Tuscan Legacy series. It can be read as a stand-alone, but why would you when the whole series is wonderful? The main theme is that of loss and a grief that consumes. Life is suspended in time but we need to learn to live and love again after loss. “It’s okay to enjoy good food, to laugh out loud… You don’t have to die inside because [he] died.” We cannot hide our grief but we can learn to live again with the help of others and with God. The characters were wonderfully warm and welcoming. The reader could ‘feel’ the love radiating from the novel. We could empathise with the pain and fear of surviving loss, and also recognise the need to take a risk and begin to live again. I am loving the whole A Tuscan Legacy series. Each book explores a different character from book one, expanding their stories. It is a compilation of different authors but has common themes, characters and a mystery to solve running throughout the books. I absolutely love this series. Why not give yourself a treat and begin buying A Tuscan Legacy series today? Many thanks for a wonderful review! Wonderful review for a wonderful book! I’m so glad you’re enjoying the series, Julia!